The smell of kerosene always reminds me of Japanese life. 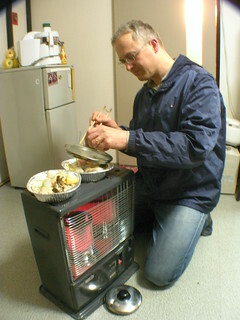 It's still widely used in Japan--although this heater is a 20-year-old vintage. The new ones are mostly odorless and thermostatically controlled and on timers.